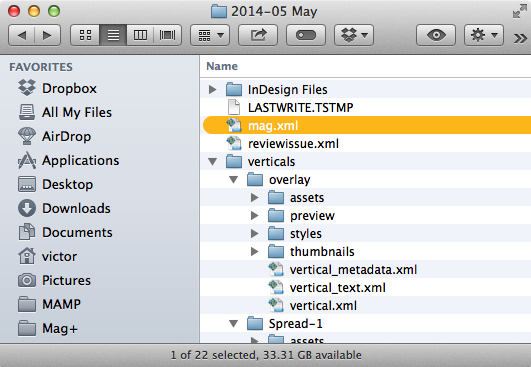 The Vertical pulldown menu is populated by a file called mag.xml, which is automatically created in your mag+ Issue folder when you start exporting from InDesign. This file is rewritten every time you export a new Vertical and it's what the Mag+ InDesign Plugin reads to build the available list. 1. 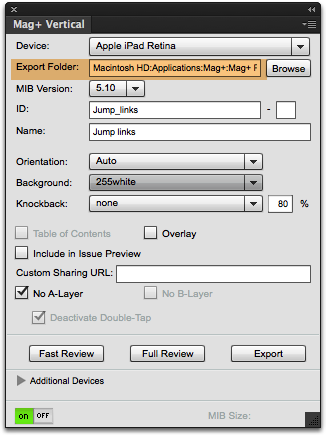 Make sure the Vertical you want to link to has been exported to the same Issue folder. 2. If Step 1 does not solve the problem, proceed to Step 3. 3. 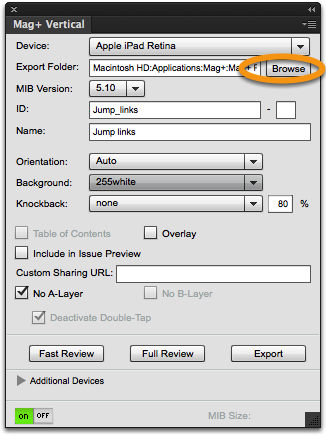 Go to the Mag+ Vertical panel and click the "Browse" button next to Export Folder. 4. 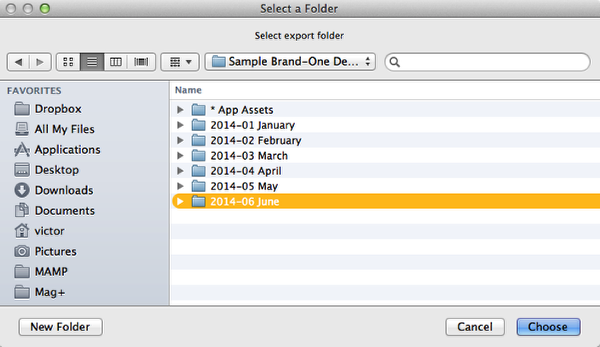 In the window that appears, choose a different Issue folder. 5. Click the "Browse" button again and choose your original Issue folder. 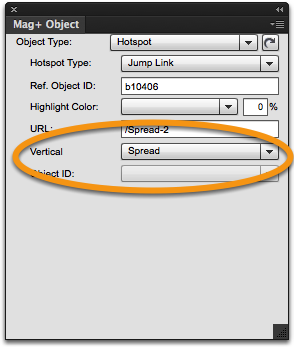 This forces the Mag+ InDesign Plugin to re-read the mag.xml file and repopulate that Verticals pulldown menu.